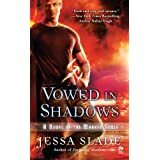 Paranormal readers will be shocked to learn that while I had heard of Jessa Slade, I had not read any of her books prior to this month. When Jessa was assigned to me as one of my buddies for Rom Con I ran out in a panic to find her book. How could I possibly be her buddy if I had never read her? I prayed the book would be good. Because what would be worse than not reading her was reading her book, her baby, and hating it. But I was lucky. I loved it! Jessa’s incredibly complex opening had me re-reading the first few pages, but instead of shaking me loose it hooked me completely. No simplistic plot line here. No, Jessa has skillfully woven a totally new view of demon possession into a suspenseful plot line that has you rooting for the sinners like they were saints. I loved the idea that in a moment of weakness, good people are taken over by demons aching to repent. And then that repentance forces the humans to fight evils so the demons gain their repentance. Only a twisted plot crafter could entwine forced labor with a drive for good in such a riveting fashion. 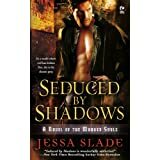 If you are dying for a more intricate plot in your paranormal romance then Jessa Slade’s Marked Soul series is for you.It hooked me right away, and kept me hooked all the way through the book. 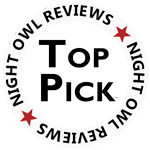 I loved it so much I almost gave it a top rating of five omegas, but I had to cut it down to four because of the rapid fire confusing beginning. I’m looking forward to discovering what happens to the rest of the demon possessed. We all know how much I love those tortured alphas! I’m thrilled to announce that Jessa is my buddy and I love her new twist on paranormal. Now I have to run out and find all the rest of her books. Except for Vowed in Shadows because, lucky me, Jessa handed me one on the first night of Rom Con! And don’t think you can get your hands on my copy, because she signed it in shiny purple ink just to me! 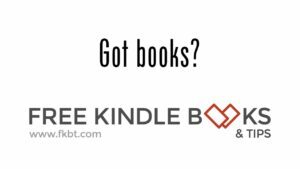 Have you read Jessa Slade? Do you have some recommendations for next months paranormal review? I haven’t read Jessa Slade yet, but with your recommendation, I will definitely look for her. 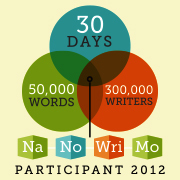 I do love a intricate plot and oh those alpha males! I loved it, but it is seriously complex, especially the world building. I’m looking forward to reading the next one without the hiccup at the beginning and I’ll let you all know what I think! How great to find an author and her book, both of whom you love. I enjoyed your review, Jessica. I know paranormal isn’t your thing, but a good book always will be!